Mr. Lenardos steps into his new role after serving in other key positions at the company. Cinnober, the Sweden-based provider of exchange and real-time clearing technology, has announced a new senior hire, tapping Peter K. Lenardos as the new CEO of the group. Lenardos, who retains his current position as Chief Financial Officer (CFO), will be tasked with returning the financial technology company to growth and profitability. The veteran professional, with experience both as an investment banker and research analyst, will continue to be based in both Cinnober’s London and Stockholm offices. Lenardos steps into his new role after serving in other key positions at the company. 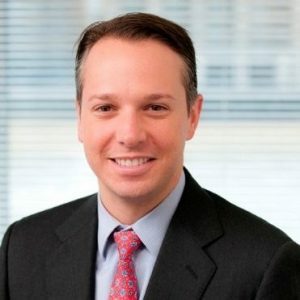 He has garnered the trust of Cinnober’s leadership not only for his experience but also for his international network in the institutional investment community, and among global market infrastructure and asset management companies. For his part, Peter has had a decorated career across multiple financial services venues in the industry. Before his employment at Cinnober, he has built a reputation for his coverage of major asset managers and stock exchanges. Lenardos worked previously as a managing director in the RBC London office. As the acting CFO, he is still responsible for both the oversight and management of the overall company’s group financials, which includes all Cinnober subsidiaries. The Sweden-based provider of exchange and real-time clearing technology has been experiencing steady growth, as indicated by its most recent financial results that saw an increase from 2017. According to the company’s report, net sales recorded an increase for the second consecutive year, reaching SEK 348.6 million ($42.88 million), a 5.33% increase YoY from 2016 levels of SEK 330.9 million ($40.71 million). However, despite improved net sales and recurring revenues, the company recorded an operating loss of SEK 93.4 million ($11.49 million) over the course of the year. The operating loss marks a significant decline, relative to 2016’s operating profit of SEK 9.5 million. On the operations front, Cinnober has undergone a number of key developments, including the formation of a new subsidiary back in 2017. The subsidiary was launched to provide contextual surveillance, and insightful analytics for exchanges and regulators – company veteran Alastair Goodwin was tasked to lead the newly formed entity.